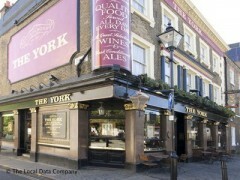 About: The York serve a selection of alcoholic and non-alcoholic drinks as well as pub dishes and has live music in the background. They also have fruit machines. Catering for private parties is available upon request and they provide outside seating on the pavement.